Have you successfully grown your online business in your home country? Then it could be time to test your products on international marketplaces by selling in France. The global eCommerce industry is becoming more and more accessible. Online sellers are expanding into several marketplaces with the aim of becoming a key player in multiple countries. The lingual and cultural challenges still remain, but the growth of online marketplaces has broken down many of the greater barriers to cross-border trade. It’s simple – for your company to reach its potential, you can’t treat borders as limits. That’s why you should be taking advantage of the largest non-English speaking markets in the world. Let’s look at why France should be your next stop. If you’re a seller who largely operates in English-speaking countries, you may or may not be familiar with the range of selling opportunities France has to offer. As a well developed economy and a population with an appetite for shopping, it’s no surprise that eCommerce has become a big deal in France. The French eCommerce industry grew by 13 percent to $35 billion in the first half of 2016 alone, and is projected to surpass $53 billion by 2018. The number of digital buyers in France is growing steadily, with as many as 66 percent of the population shopping online. An critical reason to expand into France is because its shoppers won’t come to you. An eCommerce Foundation report found that 40 percent of French shoppers don’t shop on foreign websites due to a lack of trust. This means you won’t be able to fully capitalize on the French opportunity if you don’t have a local presence. The French opportunity is sizeable. A key indication of the growing significance of French eCommerce has been demonstrated by Amazon’s recent activity in the country. The Seattle-based company owned 25 percent of French logistics company Colis Prive as of 2014, and made an attempt to buy the company outright in 2016. It also launched its same-day delivery service – Amazon Prime Now – in Paris in 2016 after purchasing a warehouse in the 18th arrondissement. If these moves are anything to go by, it’s a sign that Jeff Bezos sees the second largest European country as a burgeoning opportunity. If selling online in France is something you’re considering, then the next step is to look at the easiest routes of access – marketplaces. According to Statista, Amazon France was the most popular eCommerce website in the country in 2015, pulling in around 16 million visitors per month. However, Amazon France is not as dominant as it is in the US and UK. There are a number of French marketplaces which you may not have heard of, that attract large volumes of shopper traffic. That’s over 50 million online shoppers that visit these marketplaces every month in France. If you’re already an Amazon seller, then you know this one pretty well. Amazon has tailored its hugely successful template to France. Apart from language and localization, which it’s essentially the same website as any other Amazon marketplace. Amazon is also one of the easiest marketplaces to start with if you’re looking into selling online in France. With a simple registration, you can make use of Amazon’s unified European account, providing you with direct access to Amazon’s marketplaces in France, Germany, Spain, Italy and the UK. With 19 million monthly visitors, expanding into Amazon France could represent a relatively easy win. One important step is required – translating your listings into French. You can avail of translation services like intercultural elements to have your listings translated in bulk. Cdiscount is France’s most popular homegrown eCommerce website and Amazon’s biggest competitor. As its name suggests, Cdiscount has built its reputation as a marketplace that offers best discounts on a range of items, including technology, house appliances, furniture, wine and more. The French retailer says it processes 19 orders every 10 seconds, and turned over €1 billion on its marketplace in 2015. It also claims a 28.5 percent market share in the online sales of consumer electronics and appliances. Who would you be in competition with? There are approximately 7,000 active third party sellers on Cdiscount as of 2015. According to Webretailer, the company has been seeking to attract sellers of luggage, jewelry and furniture as it looks to increase its range of product offerings and price competitiveness. Interested? You can get started by filling out this form. Or you can learn more by reading this Webretailer article on selling on Cdiscount. Fnac is one of the most recognizable retail outlets in France since its founding in 1954 as a seller of cultural and electronic products. Its marketplace, fnac.com, is a more recent conception, having launched in 2009. It has become another competitor to Amazon in France, specifically in the media and consumer electronics categories. Combining its online operations and store network, Fnac claimed a 13.7 percent consumer electronics market share and a 16.6 percent market share for editorial products in 2015, according to its business report. Although predominantly known for selling these types of products, it has also expanded its offering to home design, games, toys, telephone and stationery. The popularity of the marketplace is growing, with 18.2 percent of Fnac’s online business volume in 2016, up from 17.4 percent in 2015. Fnac has invested heavily in creating an omnichannel customer experience in the past number of years. This has involved forging a closer relationship between its 205 stores and online marketplace. If a store is out of stock on a certain product, Fnac’s stores send customers to its online marketplace to purchase the item. This encourages in-store buyers to visit – and buy – from its online marketplace. Fnac’s strong store presence in France gives it logistical strength – allowing it to offer a ‘click-and-collect’ option for buyers to pick up their purchase in-store if preferred. It has also launched a competitor to Amazon Prime, called Fnac Express+. 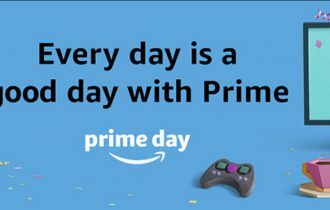 Like Prime, this service offers buyers same-day delivery. Fnac has expanded its marketplace to Belgium, Spain and Portugal, providing sellers with the opportunity to reach these markets via Fnac. 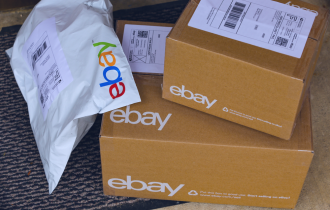 eBay is one of the easiest places to start selling online in France, especially if you’re already selling on eBay. If you list your products as available for shipping to France, eBay will automatically list that item on eBay France. The auctions site also offers a number of free translation tools, via its app store, to help sellers localize listings for non-English marketplaces. eBay remains a dominant player in the French eCommerce market, with 8.5 million visitors every month. However, it does have a worthy France-based competitor in PriceMinister. PriceMinister, a subsidiary of Rakuten Group, is one France’s most popular eCommerce websites. The website boasts 17 million members in France. France makes up one third of its online visitors, and it processes between 30,000 and 50,000 transactions per day. The level of seller competition is similar to Cdiscount, with 5,000 professional sellers active on the website. It also has a 50/50 gender split from its online visitors, with the average age at 26-50 years old, according to Lengow. PriceMinister is seen as eBay France’s biggest competitor, and it shares some traits with the global auction site, like allowing you to customize your storefront. Selling on multiple marketplaces presents a number of challenges. Adhering to a marketplace’s joining criteria, like setting up as a business in France, or translating the listings for all the products you want to sell in France, are two common challenges to selling online in France and other countries. Another key challenge is customer support. If you already have multiple selling channels in your home country, you’ll know that supporting your customers from multiple touch points can be time-consuming and messy. Add languages you don’t understand into that mix, and you’ve got an arduous task on your hands. 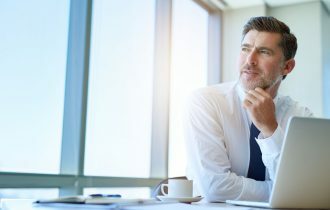 This is why we built xSellco Fusion. With our eCommerce help desk, you can successfully manage customer support from Amazon, eBay, Cdiscount, Fnac, Allegro, Shopify, Prestashop and more – in one simple inbox. xSellco Fusion is also built with auto-translation features. This allows you to instantly understand your customer’s message, no matter what language they write to you in. Translate your response back into the customer’s language with the click of a button. Achieve the same response times that you would with a native language-speaking customer. Auto-translation will make your transition to selling online in France much easier. Interested in harnessing a first-class customer support experience? Watch the video below to learn more about xSellco Fusion. Or you can go straight to a free 14-day trial of xSellco Fusion and see the benefits for yourself.